A Retinal Vein Occlusion is a painless event that can be associated with loss of vision. 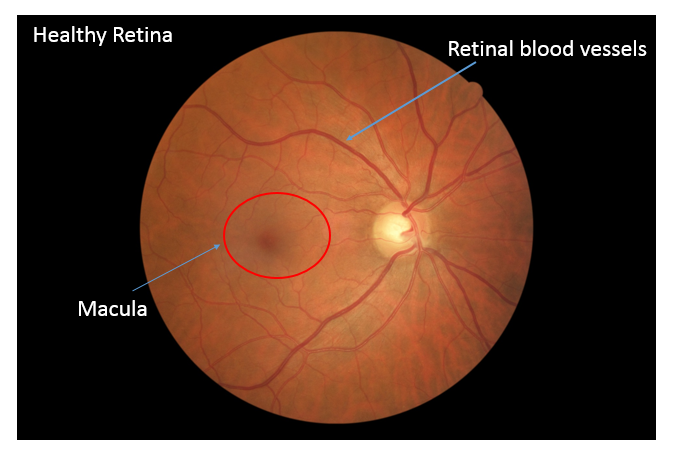 What is a Retinal Vein Occlusion (RVO)? 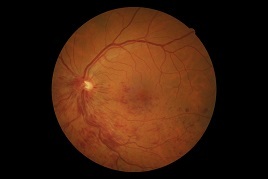 A Retinal Vein Occlusion can affect both the central and peripheral retina. The central retina is called the macula, and is responsible for sharp detailed vision. The peripheral retinal is responsible for wide angle vision. Blood vessels provide nourishment for the retina. These include retinal arteries and veins. A retinal vein occlusion occurs when one of the retinal veins becomes blocked by a blood clot. Similar to a kinked garden hose, this blood clot causes an increased back pressure because blood is not able to drain normally. This can lead to a build-up of pressure in the blood vessels. As a result, fluid and blood start to leak from the blood vessels, which can damage and cause swelling of the retina. This can cause vision loss. Are Retinal Vein Occlusions (RVOs) common? What causes Retinal Vein Occlusions (RVO)? In people younger than 60, other risk factors come into play. Your doctor may do a work up to evaluate for these conditions. 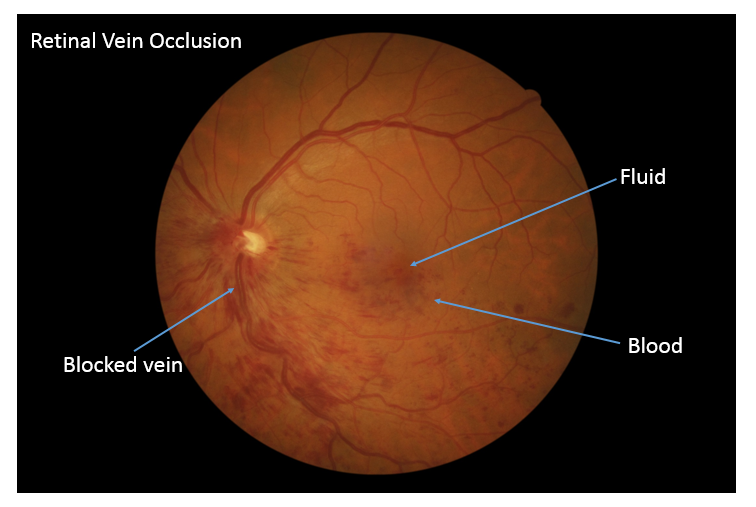 What are the symptoms of Retinal Vein Occlusions (RVO)? If you have a retinal vein occlusion, you will usually notice decreased vision in one eye. It is usually painless unless there are complications associated with the RVO such as high eye pressure (glaucoma) or the growth of new blood vessels. Some people describe the vision as blurry, or as having a blind spot. Depending on how much of the retina is affected by the RVO, symptoms can range from nothing to severe vision loss. There are two main types of retinal vein occlusions: Branch Retinal Vein Occlusion (BRVO) and Central Retinal Vein Occlusion (CRVO). BRVOs are 2-3 times more common than CRVOs. In CRVO, the blockage occurs in the main vein formed by the four retinal veins coming together. 1. 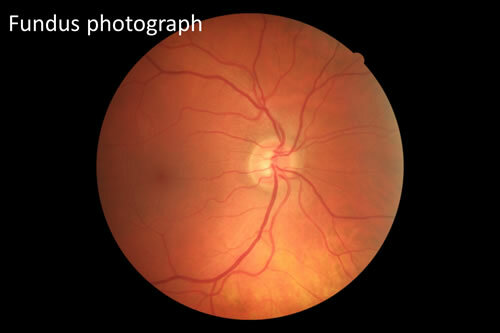 Fundus photography : This is a non-invasive test that takes pictures of your retina. 2. 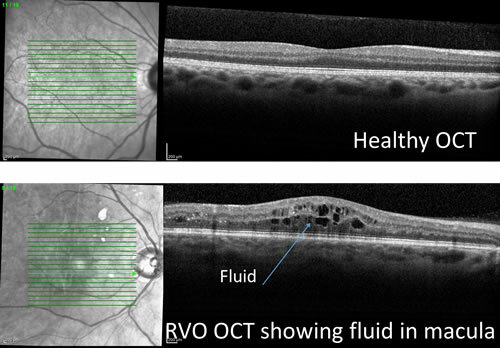 Optical Coherence Tomography (OCT) : OCT uses light rays to provide a non-invasive scan of the retina. This provides images of the various layers of the retina in great detail. Your doctor can use this information to determine if the retina is thickened or damaged. An OCT is used to both diagnose and monitor various diseases that affect the retina. 3. Fluorescein Angiography (FA): Another useful test to diagnose a RVO is a fluorescein angiogram (FA). For a FA, a special dye is injected into your arm or hand. Using a special camera, this dye can be monitored as it flows through your retinal vessels. This enables your doctor to see if there are any areas of abnormal leaky blood vessels or loss of circulation. What is the prognosis of RVO? Damage to the retinal vessel from the RVO can leave you with some loss of vision. The amount of vision loss depends on the severity of the RVO. Early diagnosis and treatment of the RVO is essential to preserve long term vision. If left untreated, complications can occur, causing significant permanent vision loss. A RVO can recur in about 1 in 6 people (either in the same eye or in the other eye) over a five year period following the initial diagnosis. 1. Macular Edema (Fluid in the Macula) : RVO blocks normal drainage of blood vessels leading to leakage of blood and fluid. If this leaking involves the macula, vision can be markedly decreased. This is the main reason why someone with RVO can develop permanent vision loss. 2. Neovascularization (New Blood Vessel Formation) : Some areas of the retina may not receive sufficient nutrition and oxygen because of a RVO. This causes new blood vessels to grow in order to meet this need. These new blood vessels do not grow in the proper places, and are of poorer quality than normal blood vessels. This can lead to complications such as bleeding, increased eye pressure (glaucoma), or retinal detachment. What are some treatment options for RVO? If needed, your doctor will discuss with you options for treatment with injections in the eye, laser or surgery.